There really is nothing else available that’s quite like INKQ. 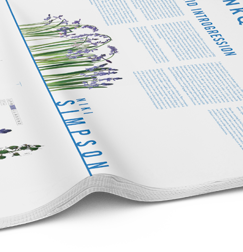 Printed on recycled, lightweight paper, this quarterly publication is here to physically deliver inspiration and interesting content directly to your door. 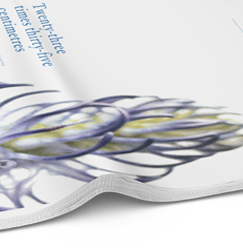 With an emphasis on an amalgam of art and the natural sciences, we have artists, academics and scientists from a wide range of disciplines contributing to the paper. This publication is designed to be a piece of art in itself; contemporary and modern, something beautiful that can be collected and even framed. It exists to be read, displayed and provoke thought. Style married to high ideals. 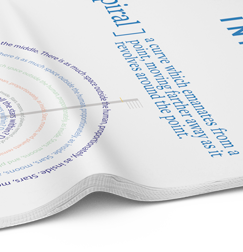 Each edition consists of at least 2 double-sided printed A1 sheets, and these will vary according to content and composition. Each edition will be a limited run and only available by post to subscribers. 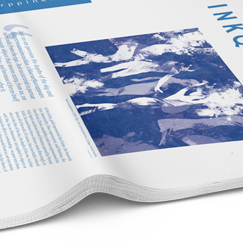 An annual subscription costs £40.00 and includes four printed editions of INKQ. Subscriptions and payment can be made online using the form on this page. You will receive an acknowledgement and updates by email. Important dispatch information: All copies of INKQ will be dispatched by standard unregistered First Class post. All Subscribers will be notified by email of the dispatch date will be towards the end of each quarter. Please allow 28 days for delivery. In case of non-receipt, please advise us by email within 45 days and subject to availability and at our discretion, we will send out a replacement copy. Alternatively, we will extend your subscription for another issue. If the Post Office alerts us that your copy of INKQ is undeliverable, we will advise you by email but following that, we will have no further obligation unless we receive a corrected address within one year. All orders subject to approval. By ordering, you agree not to resell any subscriptions purchased from this site.